LUCIE MURRAY is the founder of Run Kids Run and Chief Sparkle Skirt wearer. Lucie started Run Kids Run because as a runner and mom, she wanted to inspire children to move more. 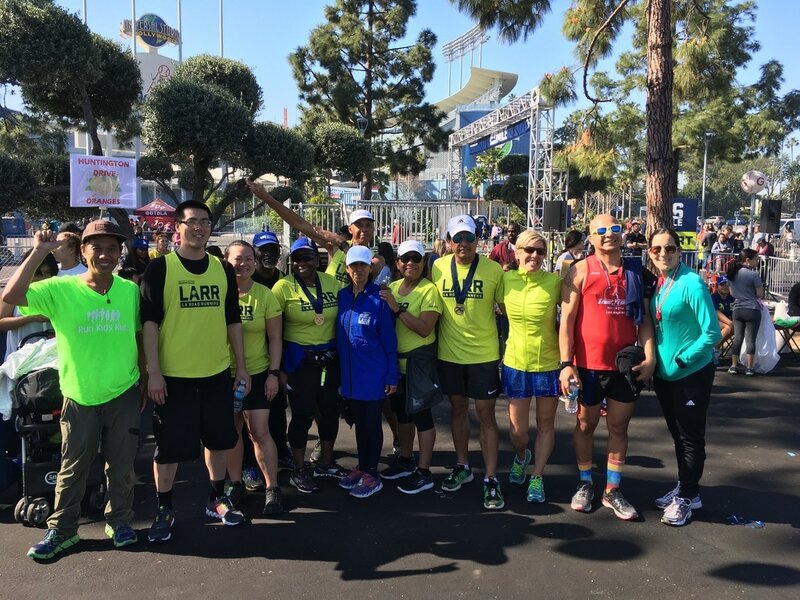 As coach for Moms In Motion Los Angeles, she was connected with many local race directors so she started her business by organizing Kids Runs and Kids Zones at local running events. Since 2008, she has organized hundreds of events including kids runs, triathlons, bike rides, as well as school moveathons and fitness days. She has developed a wonderful network of local businesses, vendors, and friends in the running community, who she collaborates with for her events. Lucie is a marathoner and she never hesitates to wear sparkles, silly hats, and crazy costumes if it makes kids laugh and get them moving with her! pacer chris SHOWS THE KIDS WHERE TO GO!